Aside from US and UK TV series, I love watching Korean Series or Koreanovela. Lately, my addiction to anything "KPop" or "Hallyu" reprised. Inspired by one of my friend, I was suddenly intrigued by the newest Koreanovela hit "Descendants of the Sun" starring Song Joong-ki, Song Hye-kyo, Kim Ji-won, and Jin Goo. This is a a major come back for Song Hye-kyo who had her last tv series 3 years ago. We all know that most of her previous series were huge success like Autumn in my Heart and Full House plus most of her co-stars are less popular than her making it hard for her to outshine her last series and not outshine her co-stars. Also, she is older than her on-screen partner, Song Joong-ki in real life and in the series so all eyes on her. Kim Min-seok as Lance Corporal Kim Gi-beom (later promoted to Platoon Sergeant as seen in EP 16). A pickpocket later enlisted to the army. David Lee McInnis as David Argus (Gang Boss, former Delta Force Captain), the main antagonist. Ji Seung-hyun as Senior Lieutenant Ahn Jung-joon, Korean People's Army. Yoo Si-jin (Song Joong-ki) is the captain of a South Korean Special Forces unit. He catches a motorcycle thief, Kim Gi Beom (Kim Min Seok), with Sergeant Major Seo Dae-young (Jin Goo). The thief is injured during his capture and is sent to the hospital. Dae-young realizes his cellphone was stolen by the thief and goes to the hospital along with Si-jin to retrieve his cellphone. In the emergency room, Si-jin meets Dr. Kang Mo-yeon (Song Hye-kyo) for the first time. He falls in love with her immediately. Mo-yeon mistakenly assumes Si-jin is part of the thief's criminal gang, due to his nickname "Big Boss", which is actually his call sign. He proves to her that he is a soldier with the help of army surgeon Yoon Myung-ju (Kim Ji-won). Si-jin and Mo-yeon begin to date, but due to their jobs, their dates don't go well. Si-jin receives orders to lead his soldiers on a peacekeeping mission in the fictional country of Uruk. Meanwhile, Mo-yeon is upset because she failed to become a professor because of a colleague's privileged background. When Si-jin and Mo-yeon meet again, they talk about their views on life and realize how different they are. Si-jin, as a soldier, kills to protect lives and Mo-yeon, as a doctor honoring the Hippocratic oath, tries to save lives. They say their goodbyes. Dae-young on the other hand faces a dilemma on whether to continue with his relationship with Myung-ju or risk being removed from the army by Myung-ju's father, Lieutenant General Yoon Gil-joon (Kang Shin-il). Eight months later, Mo-yeon rebuffs the sexual advances of hospital director Han Suk-won (Tae In-ho) and as a result is assigned to lead a medical team to Uruk. There, Si-jin and Mo-yeon meet and fall in love again. Through their encounters in Uruk—an earthquake and an epidemic—their love for each other grows stronger. While in Uruk, Mo-yeon accidentally confesses her feelings and the two officially start dating, much to the amusement of their respective teams. Back in Korea, the two of them continue their dates until Si-jin and Dae-young are sent on an operation in which they disappear and are assumed to be dead. Months pass, and Mo-yeon mourns his death, deciding to commemorate his passing with a volunteer trip to Albania. This is where Si-jin eventually finds her after he and Dae-young are rescued from captivity by "a friend from afar", a soldier from North Korea whom Si-jin had earlier helped save the life of. Si-jin and Mo-yeon are happily reunited. Meanwhile Dae-young goes back in an emotional reunion to Myung-ju, who is stationed in Uruk. In the credits, the entire team is once again called into action following a volcanic eruption in Canada. It is my first time to watch a series that the second lead's story moved me more than the lead themselves. Honestly, I don't find the love story of Si-jin and Mo-yeon interesting at all. I kept watching this series since Dae-young and Myung-ju's love story is not an easy one and is more challenging than the leads, Si-jin and Mo-yeon. One big factor of their love story being intriguing is Myung-ju's father who objects and wants Si-jin for his daughter. The unconditional love and sacrifice Dae-young and Myung-ju shown to each other is beyond compare. Their love story really touched me that's why I was happy finding out that there will be Descendants of the Sun part 2 that will focus on their love story. Over all, the series is delightful to watch for it has heavy drama, suspense action and light comedy combined. The fighting scenes are realistic and was executed perfectly. Also, I believe that one of the reasons many girls were hooked with this series is because of the handsome leads and other characters in the story. From cute doctors to toned muscle army soldiers, name it this series have it. 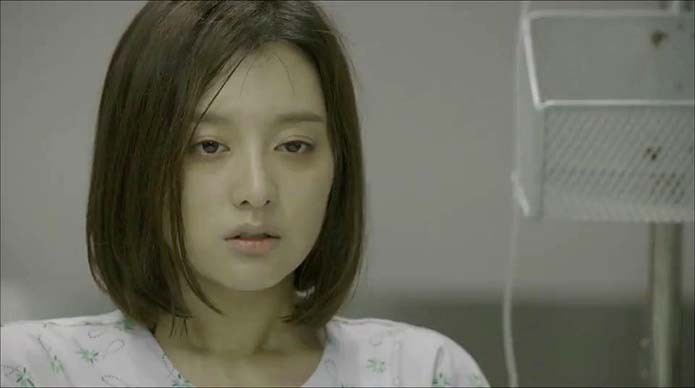 My favorite scene in this series is when Myung-ju was fighting for her life due to a M3 virus. The scene was heart breaking. I cried when Dae-young fearlessly hugged Myung-ju despite her having a contagious disease. How touching was that! I have read other blogs and reviews and I am not alone, they ship Dae-young and Myung-ju than Mo-yeon and Si-jin. 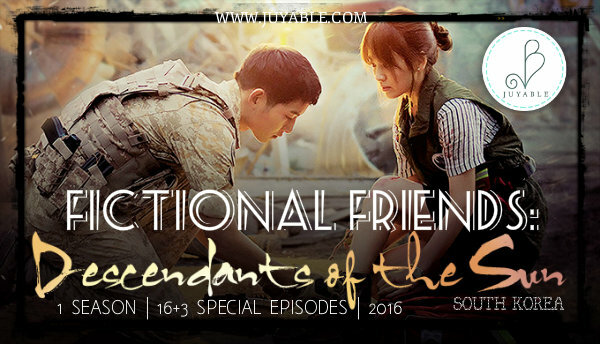 (Sorry Song-Song shippers) I will definitely watch the second season/installment of Descendants of the Sun because of them. So before Descendants of the Sun 2 starts, you better watch the fist installment and prove me that I'm wrong shipping the second lead or agree and ship with me. HAHAHAHA. In addition, their original sound track is always on point and totally catchy. Here is a video clip of this series, enjoy watching.